I would like to submit my model of the Dry Dock from Star Trek The Motion Picture. Originally modeled in Cinema 4D, I exported it to .OBJ format. Model and textures are all created by me. 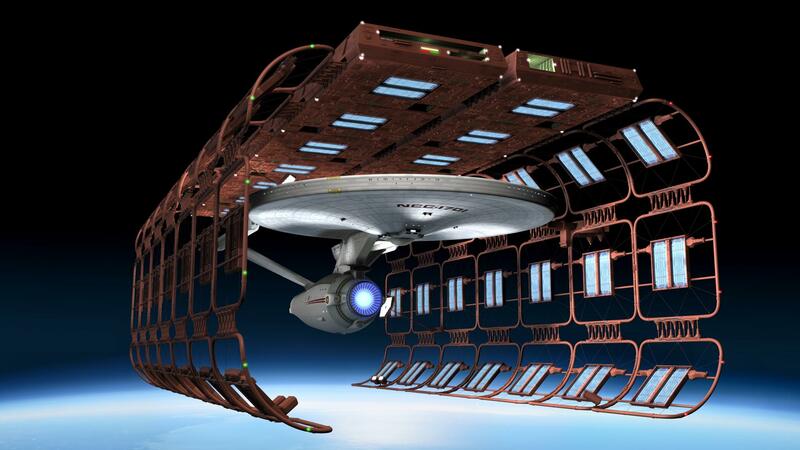 The Enterprise does not come with the dry dock.